The Alfresco Side Table features a smokey brown finish, durable construction and is made of recycled Pine wood. It is a perfect choice for any living room. 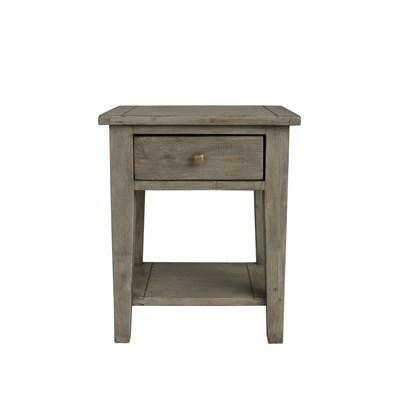 The Irish Coast Side Table features an African Dusk finish and is made of 100% recycled Pine. It has a drawer and a bottom shelf. 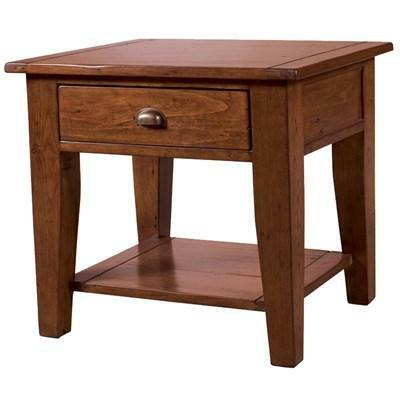 This table will give your space a fresh natural look! 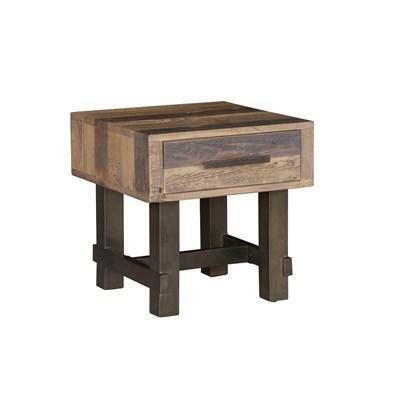 The Irish Coast Small End Table features a black Olive finish and is made of reclaimed and recycled wood. It has a drawer and a bottom shelf. 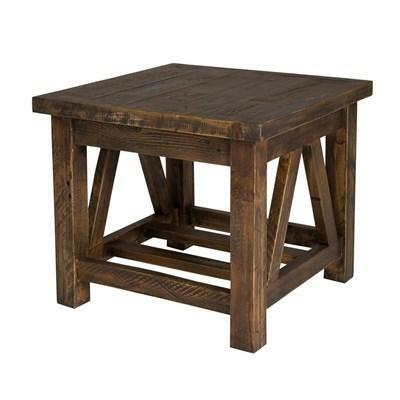 This table is a perfect choice for any living room. 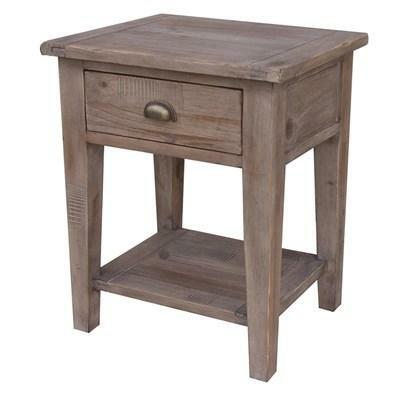 The Irish Coast Small End Table features one double sided drawer, one shelf, a reclaimed wood and recycled wood construction, and is finished in a Sundried Ash finish. 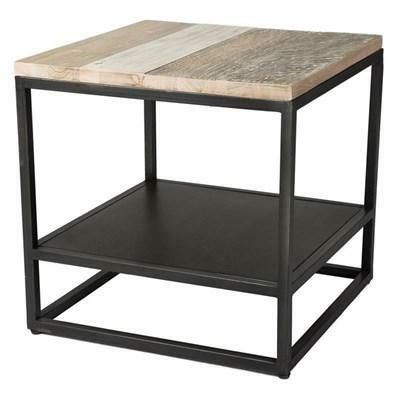 The Metro Havana End Table is made with a metal frame featuring a black design. 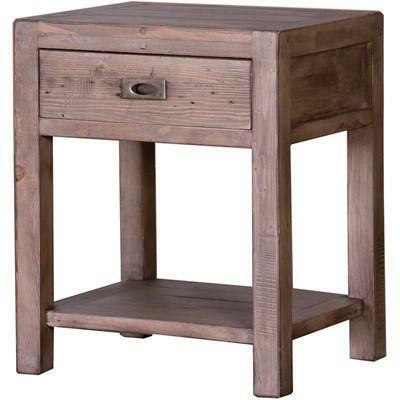 This end table features 1 open shelf along the base and a solid acacia table top with some slats featuring a plain and distressed finish. The Vintage End Table features a unique blend of solid acacia wood and metal which radiates a bold eclectic style. This table has a drawer with metal hand pull. It is a perfect choice for any interior decor. 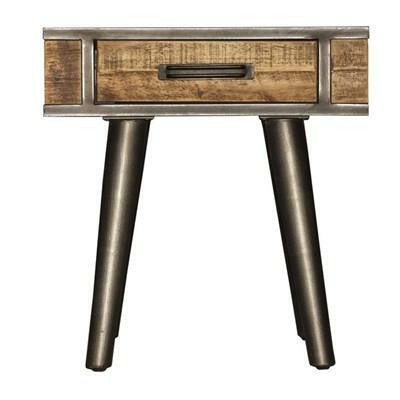 The Cruz Side Table features one storage drawer with metal hand pulls. It is made of solid recycled Pine wood and comes in a natural color. This piece can be a perfect choice for any interior decor. 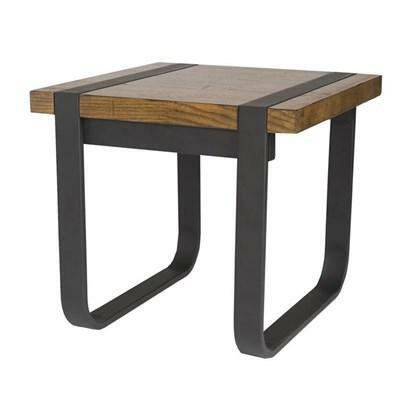 The Theros Side Table is made of solid Acacia wood in an Antique black color. It has an open shelf and an Urban style. This piece is a perfect choice for any living room. 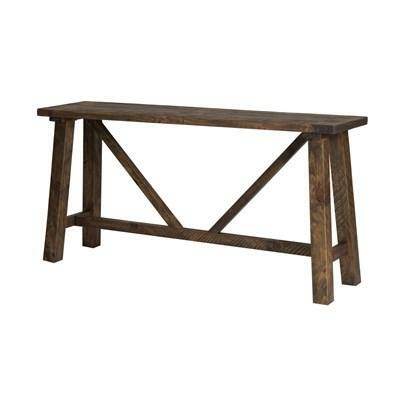 The Alfresco Console Table is made with recycled pine wood featuring a Smokey Brown finish. This console table's origin is from vietnam and requires no assembly. 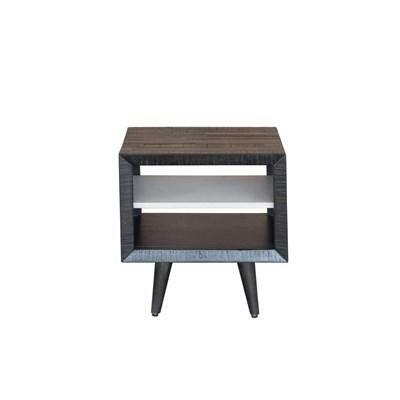 The Brooklyn End Table features a black metal base, Java Yellow wood top, and it is made of Acacia Veneer. It is an elegant piece for any living room. 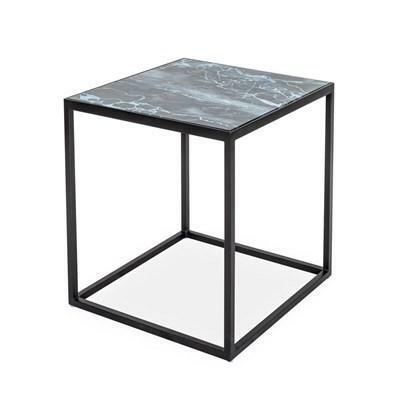 The Indigo Glass Side Table features a black marble top, stable metal base, and a durable construction. It is a stylish piece in any living room.